Ahead of Manchester United’s 2-1 win against West Ham on Saturday, manager Ole Gunnar Solskjaer was asked about his opinion on racism in football, after a long list of incidents that have plagued the game in recent weeks. Most notably, Chelsea fans videoed themselves singing songs about Liverpool striker Mohamed Salah being a “bomber”, in reference to terrorism because of his Muslim faith. Three of the six fans seen in that video were stopped from entering the ground but a black Chelsea fan who was in the away end at Prague revealed how he was racially abused inside the stadium. The fact that other Chelsea fans weren’t cautious about racially abusing others after fellow fans had been banned from the game speaks volumes. The fact that other fans in the away end, who must have heard this abuse, didn’t speak out is even more telling. Also, former Liverpool player, Tommy Smith, died this week, and was given a heartfelt tribute from his former club, which completely ignored the extreme racist opinions and actions he was guilty of, and instead hailed him as a legend. A couple of weeks ago, black England players were subjected to racist abuse in Montenegro. The monkey noises and racist taunts were audible for everyone watching. Juventus striker Moise Kean was victim of the same treatment from Cagliari supporters in his team’s 2-0 victory and then his white teammate, Leonardo Bonucci, said the blame was 50-50, when Kean just stood with his arms held out in front of the racist fans after he scored a goal. Imagine! Moise Kean has suffered racist monkey chants all game from Cagliari fans and he replies by scoring and celebrating in front of them. Danny Rose said that he couldn’t wait to retire from playing professional football because of the racism he’s been subjected to. I’ve had enough. 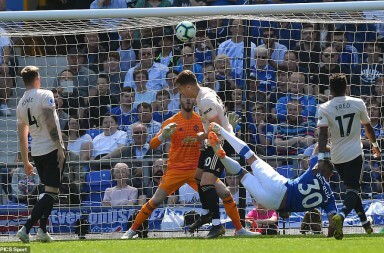 At the minute how I programme myself I just think to myself: ‘I’ve got five or six more years left in football and I just can’t wait to see the back of it.’ Seeing how things are done in the game at the minute. It’s just…whatever, isn’t it? I just want to get out of it. That is how I feel. I feel I have four, five or six more years left and I just want to enjoy football as much as I can. There is so much politics and whatever in football. And I just can’t wait to see the back of it, to be honest. What is even sadder than Rose’s admission is the response from some football fans. On social media, his painful interview was met with people telling him to hurry up and retire then, pointing to the amount of money he earned, and how he should just hang up his boots if he didn’t want to deal with the racism he faced. Players have been more vocal about racism thanks to the brave actions of Manchester City forward Raheem Sterling a few weeks ago. The media has targeted him for years and recently he was the victim of racist abuse from Chelsea fans. His response that day was to laugh in their face but he has taken to social media to voice his frustration at the way black players are treated in this country. Several papers have since written articles that have looked at the way black players are depicted in the media and the unequal treatment they face. While The Daily Mail and The Sun are the worst culprits, it’s fair to say that Sterling has been given a tough time by football pundits, writers and fans as a whole since he broke on to the scene at Liverpool. It says a lot about how unacceptable someone’s treatment is if Sterling, as a current City player and former Liverpool player, can receive so much support from United fans. 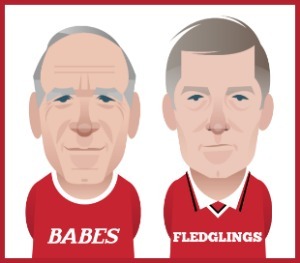 That’s not to say United fans are blameless though. In 2017, one of our fans, with a criminal record citing 37 previous offences, was jailed for turning up to City’s training ground to racially abuse Sterling. The response on social media was condemnation of that fan. In the years that have followed, with Sterling a repeated target for the press for having the audacity to be a successful black man who spends his money as he wishes, has largely been with United fans, as well as supporters of other clubs, speaking out about the racist victimisation. Sterling, a boyhood United fan, has been the poster boy for the recent attention on racism in football. He has bravely spoken out about the issue on a number of occasions. What a powerful and important message that sends to young black people living in this country. He’s one of the best players in the Premier League at the moment and is rightly being lauded as a hero for his courage in speaking out against the ignorance we have seen on the rise in this country, and abroad. Following the England game against Montenegro, where the black players were singled out for abuse, there was talk about whether the players should have walked off the pitch. They won 5-1, with Sterling scoring, but manager Gareth Southgate spoke honestly about his uncertainty of how to best respond to the situation. There’s no doubt in my mind it happened. I know what I heard. It’s unacceptable. We have to make sure our players feel supported, they know the dressing room is there and we as a group of staff are there for them. We have to report it through the correct channels. It is clear that so many people have heard it and we have to continue to make strides in our country and trust the authorities to take the right action. I can’t discuss sanctions because what is the right sanction?. Is it a big fine? Is it the closing of sections of a stadium? What is honestly going to make any difference? The difference for me is educating people. Kids are born into the world and they don’t have a bone of malice in their body, so it is what we impose on them as adults. We can criticise authorities for sanctions but the problem goes deeper than sanctions. The problem is, the footballing authorities have been a huge let down when it comes to responding appropriately to racist fans. The fines are paltry and make no difference. 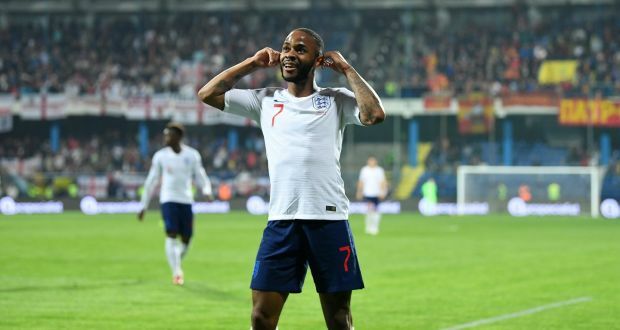 Some people have suggested the players should walk off the pitch, an action Sterling has said he would disagree with, and Southgate talked about this after the Montenegro game. His honestly and willingness to support his players was admirable. I’m not 100% certain that that would be what the players would want. There would be a mix of views, in terms of when we’ve discussed the topic in the past, how the players would like it to be dealt with. And they just want to play football. Of course, we have the chance to have an impact, but I don’t have the answer, frankly. Maybe that’s something I’d have to consider in the future. I have to say, it wasn’t something that came to mind at the time. I would want to have a long discussion with my players before to make sure that was a course of action they felt was a) something they wanted to do, and b) thought was something that was going to make a difference. I’m reflecting on should I have done more? In the end, I think I tried to protect my players as much as I possibly can. I’m not the authority on the subject. I’m a middle-aged white guy speaking about racism. I’m just finding it a really difficult subject to broach because I want my players to enjoy playing football and not be scarred by the experiences. If people feel I should have done more, then I can only apologise for that. Sterling’s take is that the racists win if the players walk off the pitch and there’s definitely weight to that argument. But the footballing authorities are not dealing with the issue. Players and managers can condemn racist behaviour in the stands, but no serious action is being taken to make it stop. If the England team walked off the field when their players were subjected to racist chanting, then maybe UEFA or FIFA would have no option but to start taking things more seriously, with the eyes of the world watching. Yet the responsibility of initiating the walk off shouldn’t be left to the black players. Racism is wrong and is down to every person, regardless of their skin colour, to tackle it. The white players have a greater responsibility to make good use of their privilege and support their team mates by making a stand. Two years ago, Sulley Muntari was banned after he walked off the pitch when he got booked for complaining to the ref about racist abuse in Serie A. His ban was upheld after appeal too. His example makes it clear that a team have to put on a united front, and that the white players have to back their teammates. England captain, Harry Kane, has said that he would happily support a walk off if he felt his teammates believed it was the right thing to do. I’m supportive of my team mates and if it happened again and they weren’t happy and wanted to talk about it or take a breather I would fully back them. We are a team, a unit and we stick behind all of our players. Hopefully it will never happen again but if it did, I would take their lead on that and whatever they wanted we would support them in that. It’s difficult to get right. Kane shouldn’t act on behalf of his black teammates without taking in to consideration their wishes, but, at the same time, shouldn’t force them to be the ones who take the lead, knowing that they may well be the ones to face the more serious ramifications for it. The fact that Sterling has voiced his opinion against it means that the black players who agree with a walk off will find it all the more difficult to say so now. 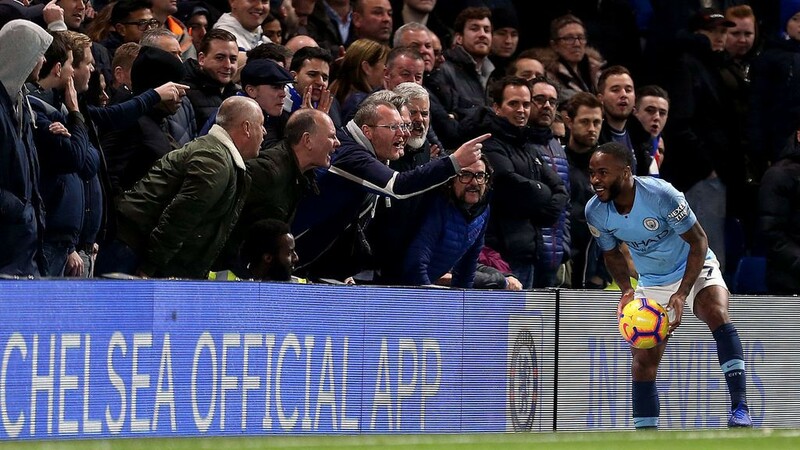 Sterling is the highest profile black player in the England set up and while, obviously, he is entitled to his opinion, others may feel as though they have to stay on the field and face the racist abuse in future. 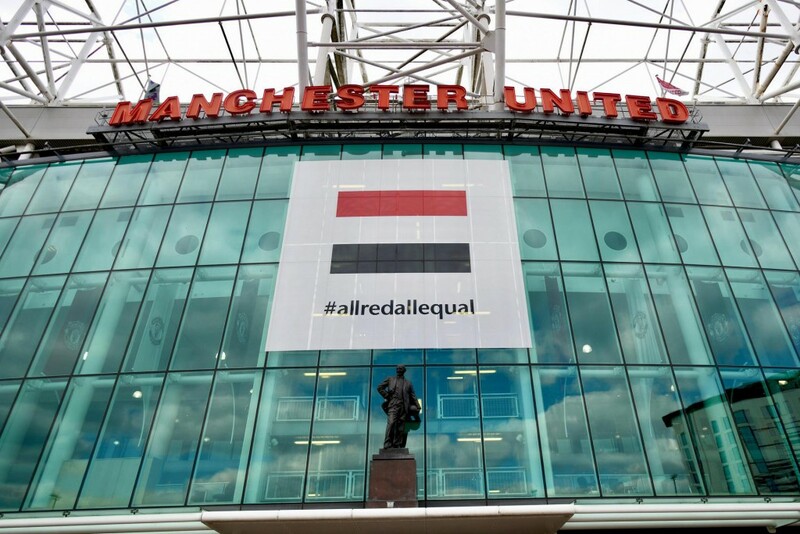 Outside Old Trafford on Saturday afternoon there were banners that said ‘All Red All Equal‘, in reference to an initiative the club took on three years ago. Since then, they’ve been involved in all sorts of inclusive projects concerned with race, gender, disability and sexuality. The problem with talking about racism in football is that there is no acknowledgement that this is a problem in society. The people who think it is OK to racially abuse people in a football stadium don’t then take off their racist hat when they’re not watching football. Stop calling it racism in football it’s racism in society. These people don’t leave the football ground and suddenly become model members of society. The difference is most people know that racism will not be tolerated in every day society. They know they can’t go to work and make monkey noises at their black colleagues, as there will be consequences. They know they can’t walk down the street and start abusing a stranger because of the colour of their skin without somebody saying or doing something. That’s not to say people aren’t racially abused at work or in the street in this country, but rarely in the blatant ways that it happens in football stadiums. That is the criticism of UEFA and FIFA. They can’t stop people from being racist but they can do something to stop racist abuse happening in the ground, but they don’t. If football fans knew that none of them would be allowed in the ground for the next game if their fellow supporters were heard racially abusing people, there would be more self-policing going on. Dr Beverly Daniel Tatum talked about the difference between passive and active racism, likening it to people on a moving walkway at the airport. Active racists walk along that travelator, just like active racists abuse people and treat people differently because of their race. Passive racists stand still, but they do nothing to stop the racist abuse of others. On that walkway, whether you walk along it or stand still, you end up at the same destination. In this analogy, that destination is people being treated differently because of the colour of their skin. Good people should speak out against racism regardless, but if UEFA put sanctions in place for all of them, it gives a greater incentive to others not to be so passive. If you know your team will have to play in an empty stadium because some fans racially abuse the players on the pitch, you’ll be more likely to say or do something to stop that from happening. We’ve got a long way to go until we can eradicate racism from society but football is a long way behind where it needs to be. If someone doesn’t go in to work making monkey noises at people, why do they feel like they can get away with it inside a football stadium? That is on the footballing authorities to deal with. 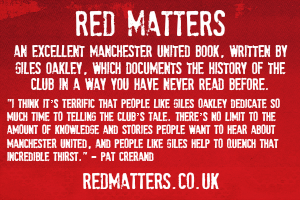 Stopping fans from racially abusing players doesn’t mean that racism stops, but it is a step in the right direction. Will walking off the pitch make that more likely? Maybe. But what is happening at the moment, whether it’s footballers being brave enough to talk about it, or Kick It Out giving players t-shirts to wear, it isn’t working. More needs to be done, and it is the responsibility of everyone to bring about that change and put pressure on the authorities to make that happen. Great piece Scott no need for racism in football,no need. There was a time clowns used fire bananas on the pitch when Remi Moses’s played for United. I naively thought this nonsense was gone. So strange really more than half the players are black now where is the rasisim coming from. No blacks no dogs no Irish wasn’t that a Johnny Rotten book title,based on an enterence to Hyde park. They were right though no Irish. Next thing you know you’d have a bunch of Georgie Bests about the place. Whilst I obviously agree with what you and Scott say 100%, one thing puzzles me ,and that is the multi millionaire Danny Rose saying that he couldn’t wait to retire from playing professional football because of the racism he’s been subjected to. Does that mean he'll put up with the abuse all the time he's on £3M a year until his contract expires in 2021 at Spurs ? Danny Rose s a git. Kenny Dog off the leash is a proper git. Slippy Gerard is an awful git. Are they black or white or Micks who knows but they are Gits. I run the Easton Urban farm we are non for profit situation. If you have a n xtra shirt or 2 the little ones would be happy. I can talk bout football to em,mostly black kids. Be great mate seriously give it a think. I was slagging some dipper fans a minute ago. And he never ever ever never ever will,never ever ever will. You lot are getting obsessed with the dippers, they will be loving it ! 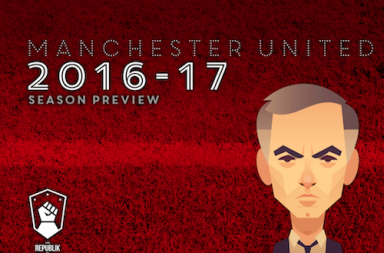 All the senior players have travelled except Valencia, Bailly and Herrera.. I read about the travelling squad to Spain, although suspended Shaw is apparently travelling as well. Strange one that, I wonder why? Anyway, did you get any feedback regarding your 5 year plan? 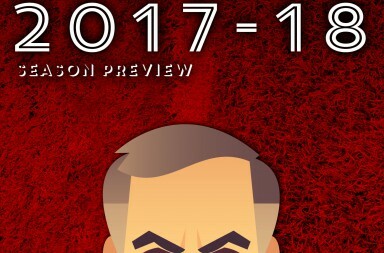 I was told by some supporters that my plan is rubbish, and they expect us to win the quadruple next season after we've spent a billion pounds on a few big names to fix everything in the summer! I guess that's our new signing, should be able to do a better job than our forwards at penetrating the opposition defence! Or it could mean we're "F****d" ! Aye, it very well could be!